Give your BMW a much more sportier sound that will intimidate other drivers. These exhaust tips will make your rear end stand out from all the other boring stock cars. The aggressive tone that is produced from this exhaust system will give your BMW the respect it deserves. Featuring mandrel bent, T-304 stainless steel and precision hand-craftsmanship. This 335i axle back exhaust provides custom-tuned performance with a harmonious subdued exhaust note with no interior resonance. The proprietary design of each Billy Boat Performance Exhaust provides increases in horsepower and torque throughout the entire RPM band. 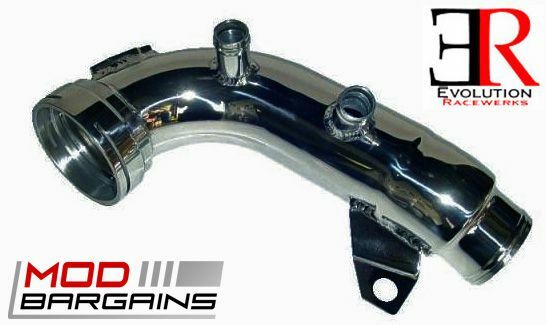 All B&B exhaust systems feature Purge Resonance Technology (PRT), which means no glass packing which means a longer lasting muffler. The unique baffles within the muffler help keep drone down to a minimum. The B&B touring exhaust also includes a vacuum activated butterfly valve that tones down the exhaust noise for a more mellow sound. Thanks Modbargains for all the help on my decision on the B&B axle back exhaust! I love the sport, it sounds amazing and absolutely no drone. You guys are very helpful, ill definitely be coming back for some Avant Garde wheels! 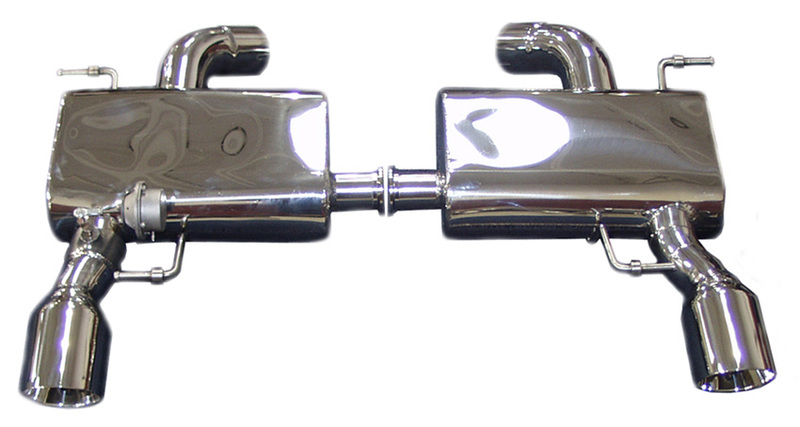 Aesthetics were another important factor in the development and design of this muffler system. Simply providing performance gains and a balanced exhaust note were not enough to declare this the ultimate system for the expertly engineered BMW E90/E92. With a fully-polished muffler and twin 3.5" fully-polished double-wall tips the Billy Boat system delivers well beyond expectations. All mounting hardware necessary is included, and no welding is required, and as always with B&B exhaust systems a limited lifetime warranty is included. What is the difference between the Sport and Touring Exhaust Systems? Touring Exhaust: The Touring Exhaust has a bi-modal design like the original factory system, with a vacuum activated butterfly valve on the driver side muffler, which helps to give no cabin drone and a milder exhaust note. This is a great system for everyday drivers looking for a factor replacement with better performance and a nice exhaust tone. Sport Exhaust: The Sport Exhaust has a smaller round muffler without the vacuum activated butterfly valve and is a much more aggressive system. This system does not guarantee that there will be absolutely no cabin drone however it does provide higher horsepower and torque gains, as well as a louder and more aggressive exhaust tone. 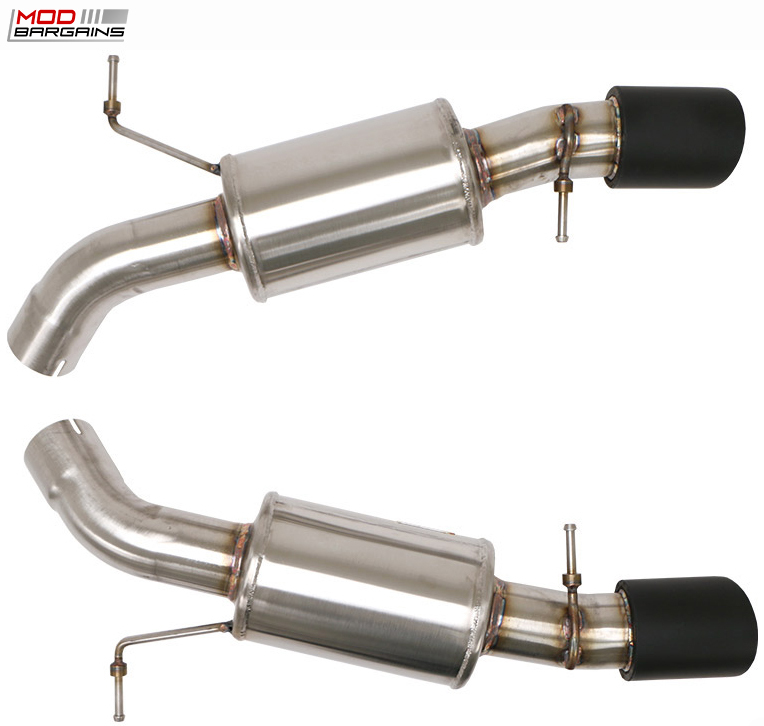 This exhaust is perfect for each an everyday driver or for a weekend race car. It is the best exhaust on the market that gives you the best of both words.